Americans are generally pretty optimistic when it comes to new technologies. But there’s one futuristic tech that Americans are getting more and more afraid of with each passing year: Driverless vehicles. A whopping 73 percent of Americans don’t trust autonomous vehicles, up from 63 percent in late 2017. The new study, conducted by AAA in early April, found that just 20 percent of Americans said that they’d trust riding in a driverless vehicle. The largest decline in trust came from Millennials, with 64 percent saying that they wouldn’t ride in one, compared to 49 percent in late 2017 who distrusted the technology. But Baby Boomers were still the most fearful of driverless cars, with 71 percent saying that they wouldn’t ride in them. Gen X wasn’t far behind, with 68 percent saying that they wouldn’t feel safe in a driverless vehicle. The study even shows that people aren’t just afraid to passengers in driverless vehicles, they’re also scared to see them on the road when they’re walking or riding a bicycle. A staggering 63 percent of Americans say that they’d feel less safe with autonomous vehicles on the road when they’re a pedestrian. And those fears aren’t coming out of nowhere. Tesla has gotten heat for its autopilot mode, which has been blamed for numerous crashes. And Uber’s self-driving car struck and killed a 44-year-old woman in March. Despite the accident, Uber says that it’s going to get its autonomous cars back on the road within a matter of months. 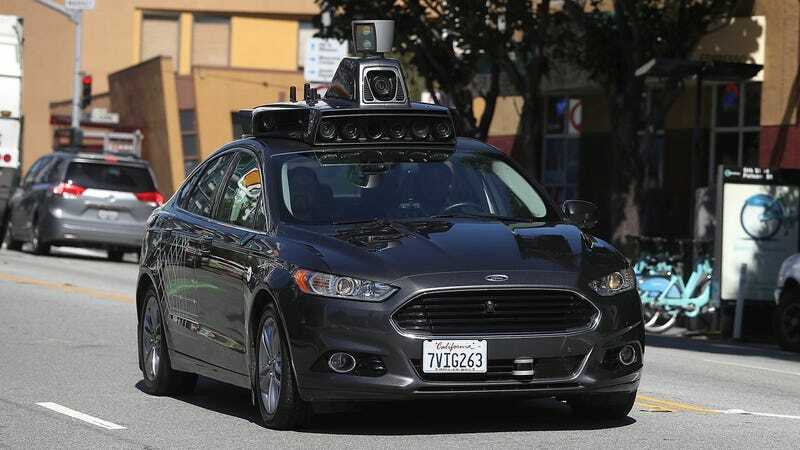 “While autonomous vehicles are being tested, there’s always a chance that they will fail or encounter a situation that challenges even the most advanced system,” Megan Foster, AAA’s director of Federal Affairs, said in a statement. With more driverless vehicles on the road, there will almost certainly be more accidents. The question is what number of accidents is acceptable when it comes to easing the minds of Americans. So far, the only acceptable number appears to be zero.